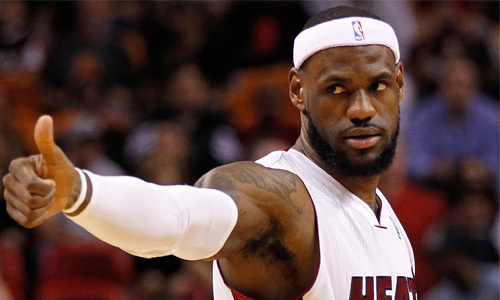 Tell me if you’ve heard this one before: LeBron James will be named the NBA MVP. James will win his second straight MVP award, and fourth in the past five years. He now joins Michael Jordan, Wilt Chamberlain, Bill Russell, and Kareem Abdul-Jabbar as the only players to win at least four MVP awards. James averaged 26.8 points, 8.0 rebounds, 7.3 assists, 1.7 steals and one block in 76 games this season, and shot career-best percentages from the field (.565) and 3-point range (.406). He also ranked in the top 10 in scoring, assists, steals and field-goal percentage among those who played in at least 70 games. 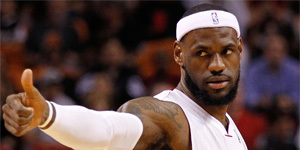 James and the idle Miami Heat won their first round playoff series against the Milwaukee Bucks and will face either the Brooklyn Nets or Chicago Bulls in the second round of the conference semifinals beginning Monday in Miami.